New York City is a jungle and this big cat seems a little lost in the big city. 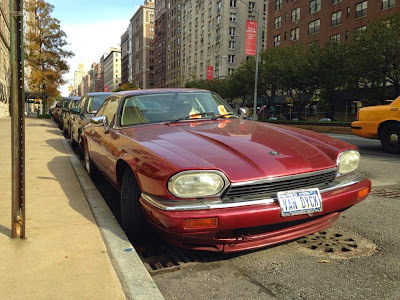 In a city where cars are a premium luxury, this 1992 Jaguar XJS sits unwanted on the curb gathering dents and parking tickets. What's the real story here? The Jaguar XJS was the ill-fated successor to the much loved E-Type and featured I6 or V12 power. Our featured car is a 1992 model and has a 223 hp DOHC straight six with 24 valves. 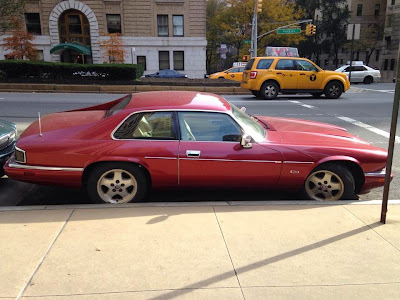 It's not as cool as the optional 6.0 litre V12 but it's far more reliable. 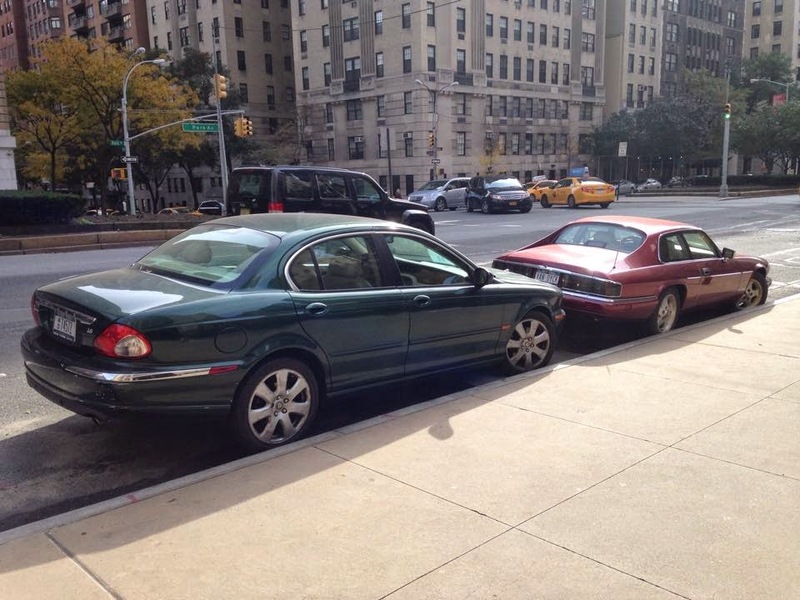 But saying your engine is more reliable than a Jag V12 is like bragging that you're taller than Danny Devito. The car looks fairly clean but has accumulated a few weeks of parking tickets and according to locals, the car hasn't moved in months. 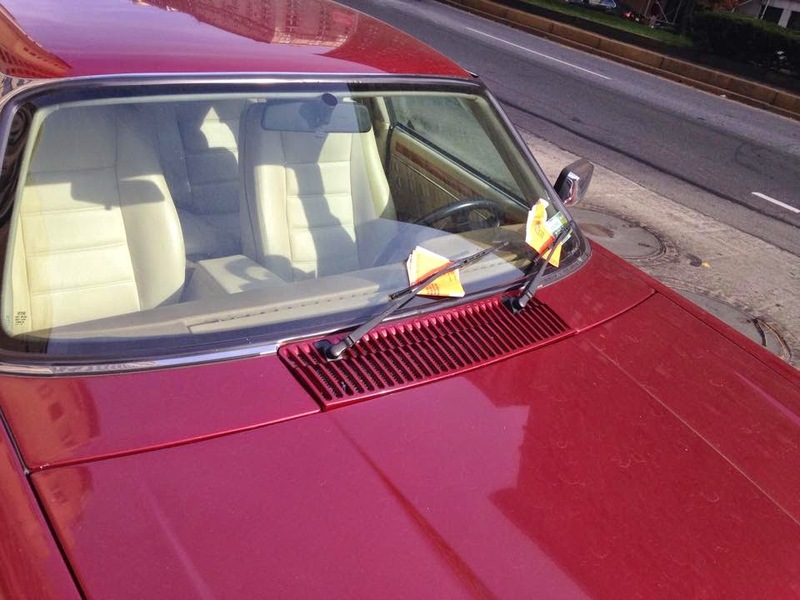 The car had no rust and the white leather interior was absolutely spotless. It seems equally likely that the wealthy owner either doesn't care about parking tickets or maybe the big Jaguar is simply broken down as old Jags are known to do. Amusingly, the XJS has another Jaguar parked right behind it to keep it company. Perhaps they're owned by the same person. 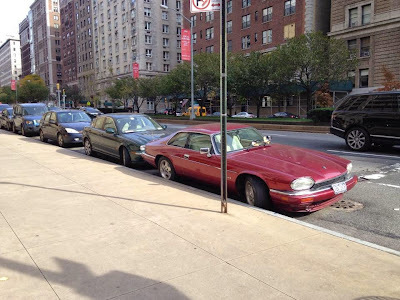 It's doubtful that the XJS has survived 22 years of street parking in NYC given its pristine condition but how it came to be apparently abandoned near Central Park will remain a mystery for now. As soon as purchasing the latest tote on a chanel replica sale on the net bracelets retail outlet, you would possibly typically inevitably be managing in words that you've got never ever read previous to as soon as clutches usually are identified. This post really should ease summaries of the most extremely popular pattern models intended for chanel replica sale clutches readily available presently. Just about every chanel replica sale pattern is usually distinct and is particularly made for unique functions in addition to models, and so hold these individuals as the primary goal so when people looking to acquire a wonderful tote. Essentially the most favorite brands of can easily chanel replica sale clutches, this motorola clutch is regarded some sort of case intended for far more dressy functions in addition to can be purchased in a variety of chanel replica sale models in addition to products. There're portable and are also commonly modest in addition to recommended only reserved for by far the most necessary objects using a night out. chanel replica sale Potential buyers can buy quite a few motorola clutch clutches available that can create of which very little more to help almost any costume.